BASS is a non-profit 501(c)3 organization in operation since 1996. We are a group of volunteers very dedicated to the sheltering and care of homeless animals in our communities operating out of a foster home network. Our cats are available for adoption at PETSMART located by the West Belt Mall in Wayne, NJ. Cats are there every Friday night 6pm-9pm and Saturdays from 11am-4pm. We also do adoptions at PETCO located in Kinnelon, NJ every Sat. & Sun. Cats are shown from 10am-12pm. Dogs 1pm-4pm. We will also show animals by appointment. Please contact us at bass@bassshelterpets.org for further information. BASS successfully managed the Bloomingdale Animal Shelter for 16 years. We simply could not continue to operate the animal shelter for the Borough of Bloomingdale without a little support from the towns we serviced. We are no longer at the 23 Brandt Lane facility. Please visit us at one of our offsite locations listed on the events page. Monetary donations may be sent to BASS, PO Box 24, Bloomingdale, NJ 07403. 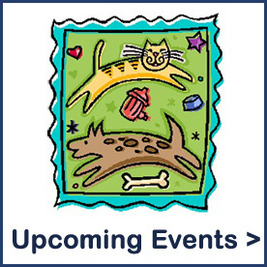 Please visit our events page for upcoming fundraisers and events. Thank you for your continued support. 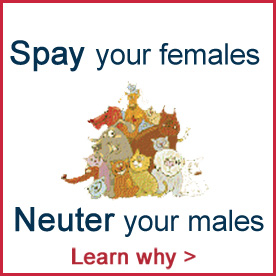 Thank you for wanting to adopt a homeless dog or cat. Our shelter has many healthy, loving animals just waiting to be in a home like yours. Senior cats 6 years and older $75. Ask us about our Senior Cats for Seniors Adoption Program! No adoption fee to qualifying seniors 65 and over. 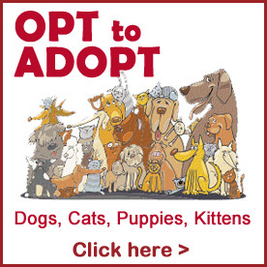 Click on Opt To Adopt to see our currently available pets.